Chaebol refers to a South Korean form of business conglomerate, an English transliteration of the Korean word, 재벌, now romanized as Jaebeol. The Korean word means business group or trust (as in Standard Oil Trust). The Chaebol originates from Korea's culture and society. Korean society, since it's beginnings, has been a village-based, clan-based, and region-based society. Koreans live and work together in a community that is created out of the village, clan, and region identifications. The Chaebol, likewise, has been created from those roots. Unlike western business enterprises which, although huge, center on the individual, the Korean Chaebol is community-based, deriving from the worker's membership in a village, clan, or province. The upside of the Chaebol is the capacity to create a powerful vertical economic system. The downside of the Chaebol is that massive capital, both human and financial, are subjected to the caprice of economic downturns and the group worker is valued more than the creative individual. Chaebol refers to the several dozen large, family-controlled Korean corporate groups, assisted by government financing, which have played a major role in the South Korean economy since the 1960s. Some have become well-known international brand names, such as Samsung, Hyundai, SK, and LG. The chaebol stood as powerful, independent entities acting in the economy and politics, but sometimes they cooperated with the government in the areas of planning and innovation. The government worked hard to encourage competition among the chaebol in certain areas, to avoid total monopolies, although, as with defense contractors for the United States government, the South Korean government often finds options limited to the few companies they can work with. The Chaebol influence has extended to the political arena. In 1988, a member of a chaebol family, Chong Mong-jun, president of Hyundai Heavy Industries, successfully ran for the National Assembly. Other business leaders also won popular elections to the National Assembly. Hyundai played a leading role in the slight thawing of relations between North and South Korea since 2000, helping to promoted Kim Dae-jung's Sunshine Policy. Samsung ($89.1 billion), Hyundai Motor Company ($57.2 billion), LG ($50.4 billion), SK ($46.4 billion), Hanjin ($16.2 billion), Hyundai Heavy Industries ($10.5 billion), Lotte ($6.3 billion), Doosan ($4.5 billion), Hanhwa ($4.4 billion), and Kumho Asiana ($2.8 billion) stood at the top of the Chaebol list in Korea in 2004 by total revenues. Founding families largely control Chaebol, while professional managers control Keiretsu. Centralized ownership characterizes Chaebol, while a decentralized ownership through cross-shareholdings characterizes Keiretsu. Chaebol often form subsidiaries to manufacture components for exports, while large Japanese corporations often employ outside contractors. The South Korean government has prohibited Chaebol from owning private banks, partly to increase leverage over the banks in areas such as credit allocation. In 1990, government regulations prohibited Chaebol from developing an exclusive banking relationship. Keiretsu have historically worked with an affiliated bank, giving the affiliated companies almost unlimited access to credit, although recent government regulations have regulated Keiretsu's dealings. South Korea had a small and predominantly agricultural economy well into the mid-twentieth century. The policies of President Park Chung Hee, following his seizure power in 1961, spurred rapid industrialization by promoting large businesses. Government industrial policy set the direction of new investment, and the Chaebol received guaranteed loans from the banking sector. In that way, the Chaebol played a key role in developing new industries, markets, and export production, helping place South Korea as one of the "Four Asian Tigers." Although South Korea's major industrial programs began in the early 1960s, the origins of the country's entrepreneurial elite originated in the political economy of the 1950s. Few Koreans owned or managed large corporations during the Japanese colonial period. After the departure of the Japanese in 1945, some Korean businessmen obtained the assets of some of the Japanese firms, a number of which grew into the Chaebol of the 1990s. Those companies, as well as certain other firms formed in the late 1940s and early 1950s, had close links with Syngman Rhee's First Republic, which lasted from 1948 to 1960. Allegedly, many of those companies received special favors from the government in return for kickbacks and other payments. When the military took over the government in 1961, military leaders announced that they would eradicate the corruption that had plagued the Rhee administration and eliminate injustice from society. The government arrested some leading industrialists for corruption, but the new government realized that they needed the help of those entrepreneurs to achieve ambitious plans to modernize the economy. The government reached a compromise, permitting many of the accused corporate leaders to pay fines instead of serving prison time. Cooperation between corporate and government leaders to modernize the economy increased. Government-Chaebol cooperation proved essential to the subsequent economic growth and astounding successes that began in the early 1960s. Driven by the urgent need to turn the economy away from consumer goods and light industries toward heavy, chemical, and import-substitution industries, political leaders and government planners relied on the ideas and cooperation of the Chaebol leaders. The government provided the blueprints for industrial expansion; the Chaebol realized the plans. The Chaebol-led industrialization accelerated the monopolistic and oligopolistic concentration of capital and economically profitable activities in the hands of a limited number of conglomerates. Park used the Chaebol as a means to advance economic growth. Park's administration encouraged exports, reversing Rhee's policy of reliance on imports, and established performance quotas. The Chaebol grew because of two factors: Foreign loans and special favors. Access to foreign technology also proved critical to the growth of the Chaebol through the 1980s. Under the guise of "guided capitalism," the government selected companies to undertake projects and channeled funds from foreign loans. The government guaranteed repayment should a company fail to repay its foreign creditors. Domestic banks made available additional loans. In the late 1980s, the Chaebol dominated the industrial sector, especially manufacturing, trading, and heavy industries. The tremendous growth that the Chaebol experienced, beginning in the early 1960s, closely tied with the expansion of South Korean exports. Growth resulted from the production of a diversity of goods rather than just one or two products. 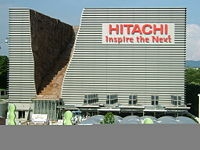 Innovation and the willingness to develop new product lines became critical. In the 1950s and early 1960s, Chaebol concentrated on wigs and textiles; by the mid-1970s and 1980s, heavy, defense, and chemical industries had become predominant. While the heavy industries played an important role in the South Korean economy in the early 1990s, real growth occurred in the electronics and high-technology industries. The Chaebol played a key role in turning the trade deficit in 1985 to a trade surplus in 1986. That reversed slightly between 1988 and 1989, when the current account balance fell from more than US$14 billion to US$5 billion. The Chaebol continued their explosive growth in export markets in the 1980s. By the late 1980s, the Chaebol had become financially independent and secure—thereby eliminating the need for further government—sponsored credit and assistance. By the 1990s, South Korea numbered among the largest NIEs, boasting a standard of living comparable to industrialized countries. President Kim Young-sam began to challenge the Chaebol, but the weaknesses of the Chaebol system awaited exposure with the Asian financial crisis in 1997. Of the thirty largest Chaebol, eleven collapsed between July 1997 and June 1999. The Chaebol heavily invested in export-oriented manufacturing, neglecting the domestic market, and exposing the economy to every downturn in overseas markets. In competing with each other, they had built up unsustainable overcapacity. On the eve of the crisis, South Korea's population ranked #26 in the world, yet seven major automobile manufacturers operated in South Korea. Many of the Chaebol had become severely indebted to finance their expansion, not only to state industrial banks, but to independent banks and their own financial services subsidiaries. In the aftermath of the crisis, when they failed to service their debt, banks could neither foreclose nor write off bad loans without themselves collapsing. The most spectacular example came in mid-1999, with the collapse of the Daewoo Group, which had some US$80 billion in unpaid debt. At the time, Daewoo constituted the largest corporate bankruptcy in history. Investigations exposed widespread corruption in the Chaebol, particularly fraudulent accounting and bribery. 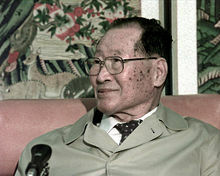 Under President Kim Dae-jung, elected in the wake of the crisis, the government made several efforts to reform the economy. Instead of competing in every industry, the government pressured the Chaebol to focus on core businesses and spin off unrelated enterprises. Government regulators pressured the Chaebol to decentralize their management and encourage the hiring of professional managers. The government required the strengthening of accounting procedures to limit the ability of Chaebol to hide losses and debt at under performing subsidiaries. A crackdown on antitrust laws and inheritance taxes impeded the ability of families to retain control over their Chaebol. Roh Moo-hyun, and predecessor Kim Dae-jung, has had mixed success. The Chaebol continue to dominate South Korea's economy. Hyundai and SK Group have been implicated in separate scandals involving both presidents. The Federation of Korean Industries, a consortium of chaebol, has taken a leading role in resisting changes. The rest are: Dongbu Group, Hyundai, Shinsegae, CJ, LS, Daelim, GM Daewoo, Hite Brewery Company, Daewoo Construction, Dong Kuk Steel Mill, Daewoo Shipbuilding and Marine Engineering(DSME), stx, Korea Agricultural & Rural Infrastructure Corporation, Tong Yang, KT&G, Hyosung, Hyundai Oilbank, Hyundai Department Store, Kolon, Hyundai Development Company, KCC, Hanjin Heavy Industries, Seah, Young Poong, Taekwang, Booyoung, Hanaro Telecom, Taihan Electric Wire, Ssangyong, Hansol, Nong Shim, Daesung, E-Land, Dong Yang Chemical, Samyang, Munhwa Broadcasting Corporation(MBC), Taeyoung, Hankook Tire, JoongAng Ilbo Corp. Note that some of these are not considered a Chaebol in the strictest sense. Beck, Peter M. "Are Korea's Chaebol Serious About Restructuring?" Presentation at the Korea 2000 conference, May 30, 2000. Korea Economic Institute of America. Business Week Magazine. "KOREA: CHAEBOL—Daewoo's bankruptcy—and that of other Chaebol—could kill legions of small and midsize suppliers." 2000. Oh, Ingyu. 1996. Making an octopus the rise and development of the South Korean Chaebol and the Japanese Keiretsu. Thesis (Ph. D.)—University of Oregon, 1996. Whitmore, Stuart and Laxmi Nakarmi. "Guide to the Groups: The pecking order of the top 20 Chaebol." Asiaweek. October 10, 1997. Unfinished Business: The Economist, April 17, 2003. The Chaebol of South Korea. Online Asia Times: Chaebol justice in South Korea, By Donald Kirk. This page was last modified on 25 January 2017, at 16:20.